The IL Mondo Boutique Hotel, located at Kangaroo Point, has been sold to a Chinese investment syndicate for a record price per room. Paul Fraser and Peter Harper of JLL Hotels & Hospitality Group negotiated the sale following an expressions of interest campaign. The award-winning property offers 40 keys - comprising hotel rooms and apartments, together with a restaurant, swimming pool and extensive undercover car parking. It occupies a prominent 1,580 square metre freehold site that has favourable zoning provisions for future residential redevelopment and is only moments from the CBD, Fortitude Valley and several other major tourist accommodation demand generators. "Offered to the market for the first time, the asset's underlying fundamentals, strong trading history, overall market position and price point resulted in the sale process being hotly contested,” said Senior Vice President of Investment Sales Paul Fraser. "We received excellent interest from a range of owner-operators, passive investors and developers, both locally and internationally. "Notably, many of these groups were new entrants to the Brisbane market or hotel sector in general. 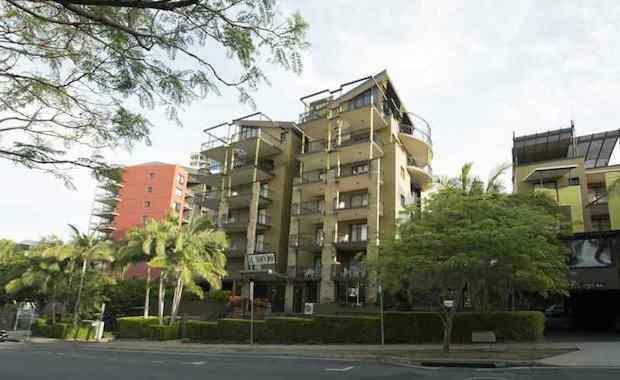 "The sale price of $13.25 million represented a record price per key of $331,250 – far surpassing other CBD fringe and metropolitan hotel sales that have taken place in Brisbane over the past few years. "This result isn't surprising as investment activity in mid-scale hotels across Australia has increased to historically high levels over the past year, driven by continued demand amongst domestic groups, and more so, an increasing focus by offshore parties,” said Senior Vice President of Investment Sales Peter Harper. "JLL Hotels & Hospitality Group has 13 dedicated offices across Asia and they are all receiving enquiries from foreign investors seeking mid-scale hotels in Australia. "It's exciting to see how this sector of the market has now become a major interest of offshore buyers. Previously, foreign capital only focused on $20million plus assets in the capital cities. "Now however, we are being inundated by foreign investors, primarily from mainland China, on every hotel asset that we are selling. "Domestic investors are still incredibly active in this sector of the market, it's just that the emerging offshore groups are currently proving to have the ability to pay a premium in a highly competitive bidding environment. "We've witnessed this first hand in Brisbane with offshore groups also acquiring the Best Western Sunnybank and Quality Hotel Brisbane International.